We're back after the New Year celebrations with a brand new replikate review post! 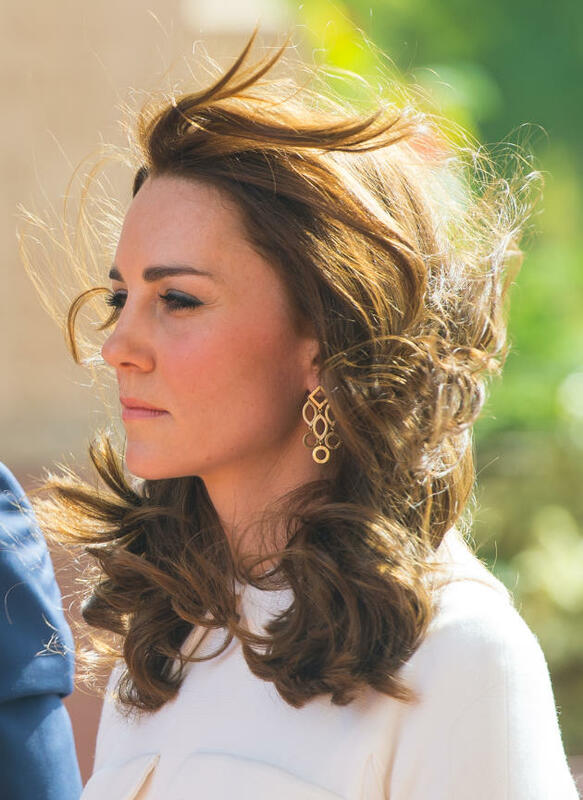 As Kate's "Temple of Heaven" earrings by Cassandra Goad seemed to have a sort of revival in recent months (in July, the Duchess wore them twice in a matter of days, at an event at the Natural History Museum and at Wimbledon), I thought I'd share my experience with a repli-kate of this rather popular style! The original Cassandra Goad earrings. 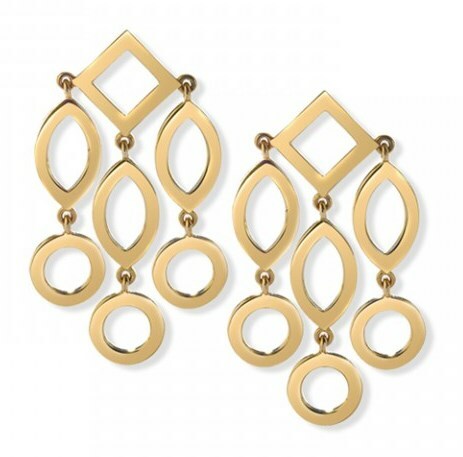 The original "Temple of Heaven" earrings as owned by Catherine are 9ct yellow gold girandole earrings with clip and post. From the Cassandra Goad website: "The Emperor of China was regarded as the son of Heaven, responsible to the celestial power for success or failure of his government. The Ming Dynasty built the Temple of Heaven in about 1530, and it was the detail of circles and squares that decorate the roof edge of the temple that inspired these earrings". 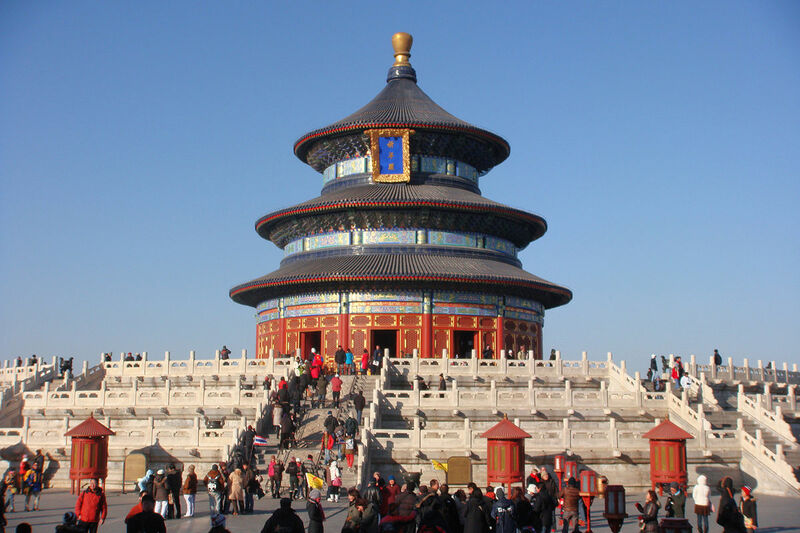 The Temple of Heaven in Beijing, the inspiration behind the design. Rather pricey for 9ct gold, they currently start at £1,725 ($2,280/€1,910). A silver version is available for £495 ($705/€617), and there's also a gold version with pavé diamonds set in the central marquise element at £2,515 ($3,581/€3,138). After a handful of appearances following the royal wedding (including at a reception at the British Consul General's residence in LA during the 2011 tour - below left - and at Zara Phillips's pre-wedding cocktail party on board the Royal Yacht Britannia in July 2011 - below right - when Kate wore them with the same DvF green dress), the earrings were last seen in public in November 2014 at a Place2Be awards ceremony at Kensington Palace. However, we were in for a surprise during the Royal tour of India and Bhutan of April 2016, as Kate brought the "Temple of Heaven" earrings back from oblivion and wore them four times in the space of just a week. The earrings were not an obvious choice for a tour of India and Bhutan, as they have a strong connection with Chinese history and symbolism, but anyway, there they were! Photo via Designs by Noa on Etsy. Described as "custom handmade replicas of Kate Middleton's Temple of Heaven earrings. They are being made in 18K vermeil with a sterling silver base". At the time of purchase three years ago, I paid $105 (or about £80/€90 at current exchange rates) plus tracked shipping for them, so I'd say these tend towards the pricier end of the costume jewellery scale. They were not available to buy straight away, but after getting in touch with shop-owner Elise I was able to pre-order a pair in January 2014 and they were ready for shipping by early June, so I suggest contacting Elise directly if you're thinking of ordering a pair, as she may be able to make them for you even if they aren't listed on her page. Although I didn't take pictures of the earrings after receiving them, I was initially very pleased with them. Unfortunately, the gold plating wore off very quickly despite careful storage and care (I usually keep my costume jewellery in those small clear resealable plastic bags as it helps prevent oxidation). However, it seemed a pity to not wear them any more, so in July last year I brought them to a local jewellery repair shop and had them re-plated. For a very reasonable €30 ($36/£27), the earrings got their shine back and are now in much better shape, although they still maintain a very slight coppery hue, which is sometimes typical of gold-plated jewellery. I've been able to start wearing them again, so all things considered I'm very happy with how they turned out! So, on the whole, I'd definitely recommend these, as they're such an accurate replikate they could easily pass for the real thing and are a very wearable style. Be prepared to invest some money in refreshing the gold plating, though.